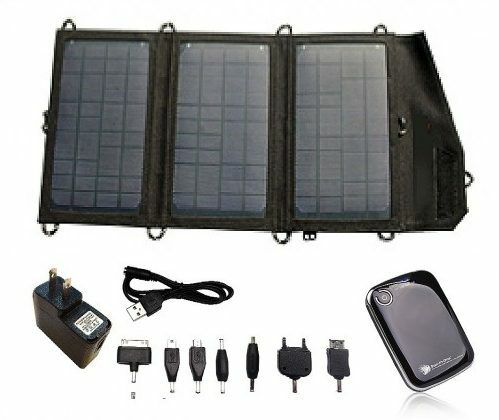 Sun-In-One™ 10 watt foldable solar panel with iphone, ipad, ipod, mini, micro, reg. USB voltage stabilized output. Optional 5200 Li-ion battery with fittings and AC plug charger.